DevLeague | Join The Movement. Learn to Code in Hawaii! First of all, thank you for your sacrifice in serving our country. If you are a Veteran, family member or eligible service person looking to transition into a new career in tech, we can help. Our immersive learning environment will prepare you with the technical skills to be job ready. The learning environment will be fast-paced similar to what you have been accustomed to in the military and we’ll also provide the hands-on mentoring throughout the program. of using your GI Bill® Educational Benefits at DevLeague. Does DevLeague accept the GI Bill? How much tuition is covered by the GI Bill? Are there other resources for the military community? Can DevLeague tell me how many months of benefits I have left? How do I use my GI Bill® at DevLeague? How long does it take to get approved by the VA? How much of my GI Bill® benefits will be allocated to the program? What if I don’t have enough GI Bill benefits to pay for classes? Will I qualify for the housing allowance and how much is it? Q: Does DevLeague accept the GI Bill? Visit the VA website to learn more about the educational programs. Q: How much tuition is covered by the GI Bill? A: It will depend on which VA Education Benefit you will be using. If you are planning to use the Post 9/11 GI Bill® Chapter 33 benefits, the GI Bill® will cover 100 percent of the course (provided that you have 100 percent of the Post 9/11 GI Bill®—if not, it’s the prorated percent). There is an annual cap to the GI Bill®. From Aug. 1, 2018 to July 31, 2019 a student may use up to $23,671.94. If you're currently taking classes and have already used part of your benefits for the year, please let us know. If you plan to use another benefit besides the Post 9/11 GI Bill® Chapter 33, please contact us at contact@devleague.com and we’ll walk you through the details. Q: Are there other resources for the military community? A: Check out Operation Code, a national nonprofit that helps the military community transition into the tech sector. They provide mentors, scholarships to conferences, and job search help. Q: Can DevLeague tell me how many months of benefits I have left? A: Unfortunately, we don’t have access to that information. To find out how many months of benefits you have left, you can call the VA Education Call Center at 1-888-442-4551. The call center is available 7 a.m. to 6 p.m., central time (Muskogee, OK). Q: How do I use my GI Bill® at DevLeague? A: When you apply for our program, let us know that you would like to use your GI Bill® benefits and our admissions teams will help you navigate through the process. Refer to the VA site to start the application for your education benefits. Please make sure that you apply for our program and for your benefits at the same time. Each process can take a few weeks, so get them going. Don’t wait for one to be completed before you start the other. We require all GI Bill® documents three weeks prior to the class start date. Q: How long does it take to get approved by the VA? A: It usually takes two to three weeks to be approved by the VA, but it can take up to 30 days. You’ll receive a Certificate of Eligibility (CoE) in the mail and you can send that to contact@devleague.com or mail it to our office at 2800 Woodlawn Dr. #138 Honolulu, HI, 96822 Attn: DevLeague GI Bill. The Education Enrollment Status is available online (via ebenefits) and can be used instead of the CoE. We need something official that shows your months remaining of benefits and the benefit level (it will be up to 100%). Q: How much of my GI Bill® benefits will be allocated to the program? A: The GI Bill® has an annual cap at $23,671.94, your daily benefit is about $65.75 ($23,671.94 / 360 days). 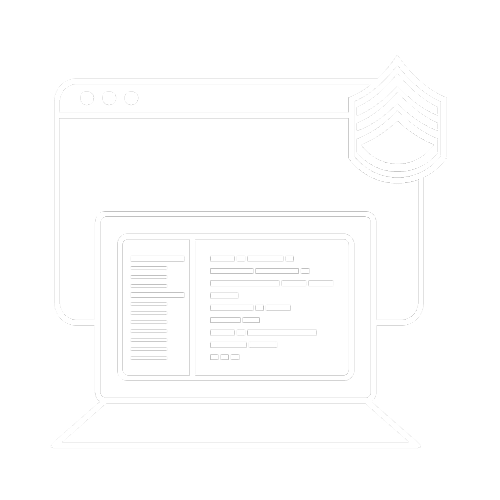 The Cyber Security Professional track will be 221 days or 7 months and 11 days of benefits ($14,500 / $65.75). For more details on the calculation. Q: What if I don’t have enough GI Bill benefits to pay for classes? A: We have a variety of funding options to help in case your GI Bill® benefits isn’t enough. Q: Will I qualify for the housing allowance and how much is it? A: Your Monthly Housing Allowance (MHA) is generally the same as the military Basic Allowance for Housing (BAH) for an E-5 with dependents. Your MHA is based on the ZIP code for your school. For more details on the housing allowance, please refer to the VA website. We want to hear from you. Please contact us at contact@devleague.com if you have questions regarding the GI Bill®.